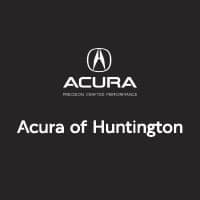 At Acura of Huntington, it’s always a good time to buy a new Acura car. However, this time of year is a particularly special season if you’re looking to get a deal and put down a substantial down payment or trade in a vehicle, thanks to tax returns. Financing is a smooth process at our Acura dealership, so come by to get started today! If you just got your refund back, there’s no wiser way to spend it than by investing in something super necessary, like your everyday transportation. Depending on how much you got back, it may definitely be an option for you to use those funds for a down payment. The biggest benefit to providing a down payment is that it lowers the principal of your loan, therefore helping you achieve lower, more affordable monthly payments. Many people recommend putting down between 10 and 20 percent on a new car. This will also help close the “gap,” which means you won’t owe more than your vehicle is worth for very long. If you have a current vehicle to trade, that’s even better! We’d be happy to examine your current car and let you know what we can give you to put toward your new purchase for it. Right now, we have several great 2019 models to choose from – among the fan favorites are the Acura ILX and Acura RDX. We love talking to our customers through the Acura financing process and easing their worries about committing to such a financial decision. When you trust us to be your Long Island, NY area car dealership, you are creating a partnership that we hope to maintain for years to come.